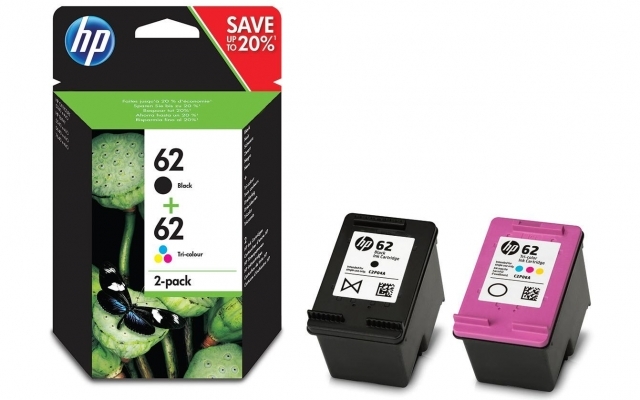 HP 62 Twin Pack (pack de 2). Noir, tricolore. Pour Envy 5540, 5544, 5640, 5642, 5644, 5646, 5660, 7640; Officejet 5742, 8040 with Neat.